We are so happy to be able to be part of the Annie and Helen blog tour and share with you this amazing non-fiction picture book as well as a giveaway and interview with the author. GoodReads Summary: Author Deborah Hopkinson and illustrator Raul Colón present the story of Helen Keller in a fresh and original way that is perfect for young children. Focusing on the relationship between Helen and her teacher, Annie Sullivan, the book is interspersed with excerpts of Annie's letters home, written as she struggled with her angry, wild pupil. But slowly, with devotion and determination, Annie teaches Helen finger spelling and braille, letters, and sentences. As Helen comes to understand language and starts to communicate, she connects for the first time with her family and the world around her. The lyrical text and exquisite art will make this fascinating story a favorite with young readers. 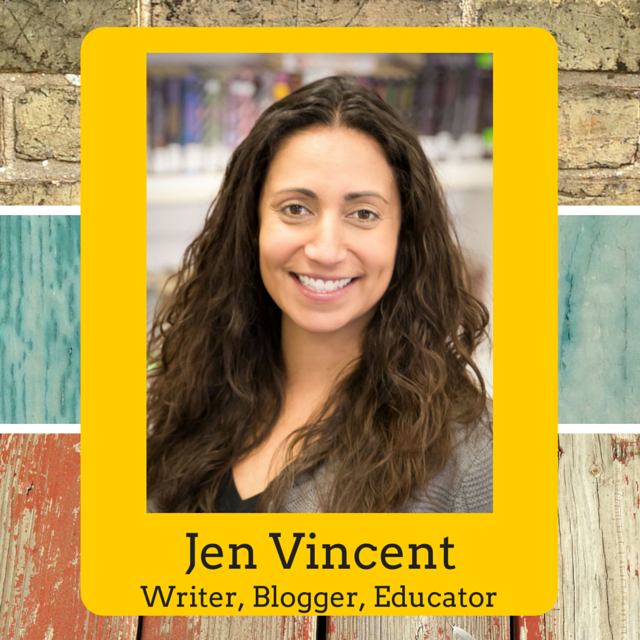 What Jen Thinks: As a teacher who worked with students who are deaf and hard of hearing, I am always on the lookout for books about deaf or hard of hearing individuals - whether real or fictional. Helen Keller is probably the most well known deaf-blind person. I've read about Helen and her teacher Annie Sullian before. A couple of years ago, I read Miss Spitfire by Sarah Miller and this picture book remind me a lot of that book. Miss Spitfire is historical fiction and is told from Annie Sullivan's perspective. It really gives readers insight into Annie Sullivan's life before she met Helen and then her strong will and determination that allowed her to be able to teach Helen. Over the weekend, I talked about Katherine Applegate's The One and Only Ivan and how the experience of reading that book connected me so strongly to Ivan in real life. It was an amazing experience. I can see how this book, Annie and Helen would be a great match for Miss Spitfire. My favorite part of Annie and Helen are the excerpts from Annie Sullivan's letters. 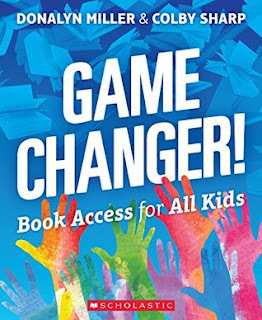 The inclusion of these letters makes this book a perfect book for classroom use. 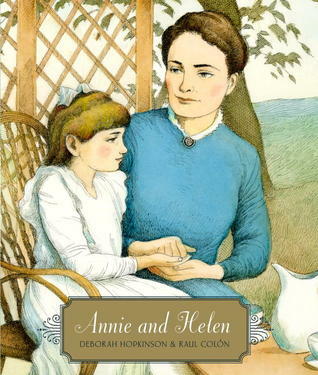 What Kellee Thinks: Deborah Hopkinson's story of Annie Sullivan and Helen Keller really brings the story of Helen's life and Annie's teaching to life. With the help of Raul Colon's illustrations and quotes from letters of Annie's, the reader truly understands what it was like for Annie and Helen. Before I read this picture book, I knew about Annie and Helen; however, I never knew anything past the basic story you learn in school. This picture book shows the struggles and triumphs that went along with Annie's time with Helen. Since I teach Hurt Go Happy which is about a deaf young lady named Joey, this book will be a great picture book to include during that unit. My students are always fascinated to learn sign language and this book will be a great one to introduce the alphabet as well as two amazing ladies in history. "Annie spelled into Helen's palm all day long. Writing Prompts: Write about a time in your life when you didn't give up even though what you were doing was really hard. Jen: I have a place in my heart for Helen Keller and Annie Sullivan because I work with students who are deaf and hard of hearing. When I was in middle school I loved sign language, eventually when I wanted to become a teacher, I was drawn to kids who are deaf and hard of hearing. What drew you to Annie and Helen’s story? Deborah Hopkinson: I became interested in 2008, after seeing a news story about a newly re-discovered photo of Annie Sullivan and Helen Keller dating from 1888. As I read about them, I became especially interested in their first few months together. I hadn’t realized how difficult Annie Sullivan’s own childhood was, and how she was really a pioneer in her teaching methods. So I decided to focus on that exciting time when Helen first began learning language. 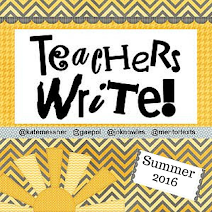 Jen: I am working on a novel and have been working with other teachers who are writing this summer through Teachers Write. My work-in-progress is fiction but I know those who are writing non-fiction have been doing lots of research before writing. What kind of research did you do? DH: I read Joseph Lash’s biography, Helen and Teacher, and also the centennial anniversary edition of The Story of My Life, Helen’s autobiography. That includes a section on Annie Sullivan’s 1887 letters to Mrs. Sophia Hopkins, her friend and former house mother at Perkins. I became fascinated by how Annie taught, and Helen learned. I also consulted the librarian at the Perkins School for the Blind, who read the manuscript. Jen: I love that this book is not only non-fiction biography, but you also include primary sources of information when you share Annie Sullivan’s own words from her letters. Was it important to you to include Annie’s own words from the beginning or how did you decide to include them? DH: Once I saw the letters, I really wanted to build the manuscript around them. I love working with primary documents and I think in this case they provide the authenticity of Annie’s real voice as well as her excitement about the progress she and Helen began to make. I think when you read the letters you realize that even then, Annie Sullivan knew that she and Helen were doing something truly extraordinary. And I think you can glimpse, through these letters the awe she felt as she realized Helen’s talents. Kellee: And with so much information within Annie’s letters and Helen’s life, how did you decide which parts of her life you wanted to focus on? DH: Well, that really was the easy part. One of the challenges of writing picture books about adults is that kids do like to read about other children. Since we were including Annie’s letters, it felt just right to begin with her first letter from Helen’s home in Alabama, in early March 1887, and then end with the letter that Helen is able to write in July. It is astonishing when you think about it – that Helen went from not really comprehending how to use language to being able to compose a simple letter in only four months! Kellee: I know that you also write historical fiction novels, why did you decide to have this story be a picture book instead of a novel? DH: I wanted this book to be nonfiction, because I think the subject matter called for it. The short form of the picture book lent itself perfectly to the parameters of the story. I do have a historical fiction novel coming out next year called The Great Trouble, a Mystery of London, the Blue Death, and A Boy Called Eel. It’s about Dr. John Snow and the cholera epidemic of 1854 and it seemed better suited to a longer format because of the complexity of the subject matter. Kellee: Raul Colon’s illustrations were beautiful. I loved the combination of pencil and watercolor and they were quite realistic. When looking for an illustrator, what were you looking for? Why was Raul chosen? DH: I was delighted when Anne Schwartz and Lee Wade, of Schwartz and Wade, decided to ask Raul to illustrate this book. He also did the art for my picture book, A Band of Angels, about the Fisk University Jubilee Singers. Recently Raul told me he was inspired by the paintings of Mary Cassatt, and I think you can sense that loving sensitivity in the illustrations. I also love that the back cover includes the Braille alphabet. DH: Well, I am not sure what makes a great author, but I do believe, as I tell students during author visits, that readers make writers. I think it is similar to musicians or athletes. Musicians usually listen to lots of music; pro athletes often study the films of other teams or players. When you immerse yourself in the area in which you are working, you learn. I read constantly. I read at work for my job as a vice president for advancement at Pacific Northwest College of Art, I read for pleasure, and I am constantly doing research for books in progress or potential books. 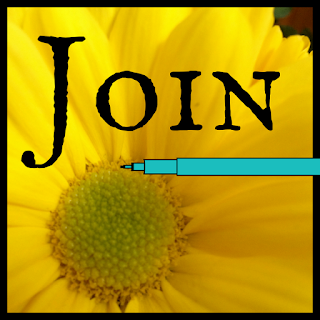 TMT: What is the best writing advice you ever received and what advice would you give an aspiring writer? DH: Well, years ago my editor Anne Schwartz once told me, “You have to want it more than sleep.” And to some extent that’s true. You have to want to write not just more than sleeping, but often other things as well – like having a social life! I think the advice I would give an aspiring writer is to put your feet in the direction you want to go and not turn back. That may mean going to conferences, reading, setting yourself deadlines, submitting manuscripts. It’s a little like making a major lifestyle choice for your health. In the last year I have adopted a gluten free diet and added cardio, strength training and core workouts. I falter and backslide quite a bit in some areas – but when I look back 18 months, I am doing a lot of things differently now. And that’s the way it is with writing. You don’t have to write every day to be a writer – I certainly don’t and never have – but you have to make it part of your life. 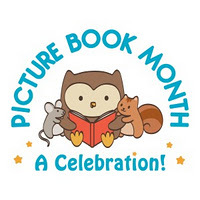 TMT: At Teach Mentor Texts, we are all about promoting literacy and spreading the love of books. 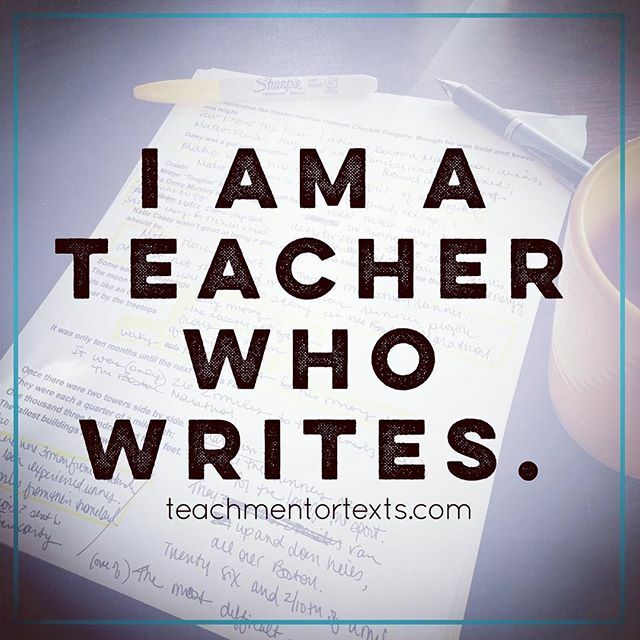 How do you finish the statement: Writing is...? DH: …often hard and challenging, but that’s what makes it fun. When you’re writing, you’re always learning something. TMT: What about: Reading is...? DH: …a gift. Writing Annie and Helen made me realize how lucky I have been in my life to be able to read easily, whenever I want. Reading is one of the things about being a human being I love the most. If humans didn’t read, I would probably be just as happy being a Golden Retriever.